Continuing my walk along Broadway, my third stop was Pompei, a long-established joint that recently had the distinction of winning the inaugural reader’s poll for “Best Regular Pizza” by the Bayonne Community News. I question this poll altogether as it cost a joint $300 to be listed as an entrant. As a result, not all the great joints participated. A write-in option was available, but it appears to have been under-utilized by the voters. I have previously had much respect for the pie at Pompei, but now it was time for the Snob to get serious about it. 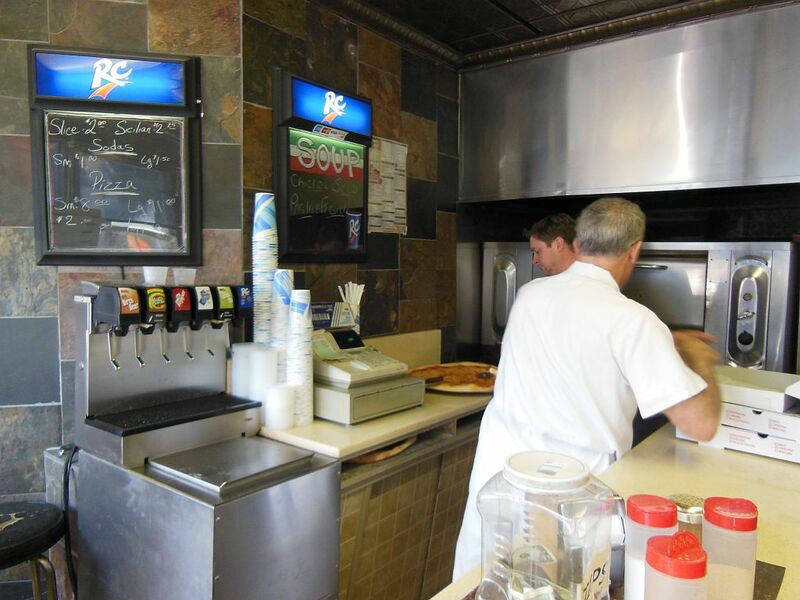 Much like Tony’s, Pompei is a walk-up pizza joint that offers a limited Italian menu. 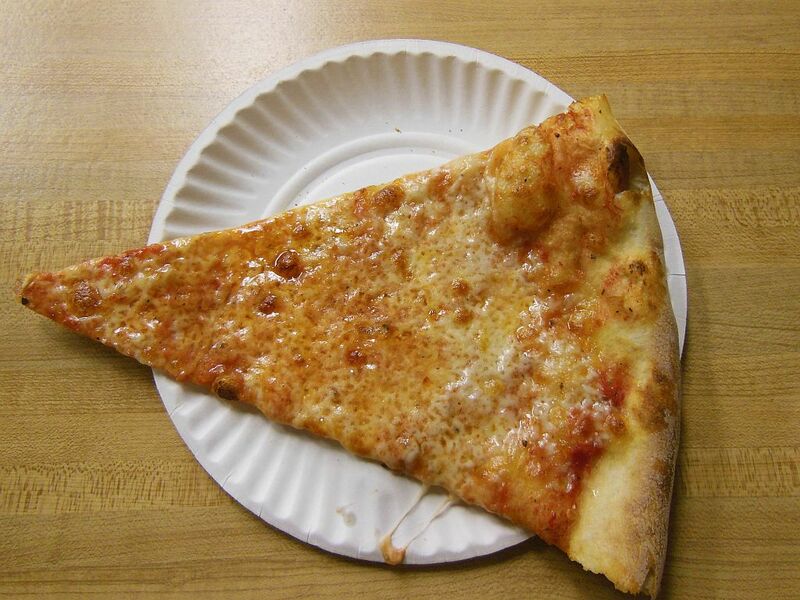 The $2.00 slice I ordered came fresh and hot right out of the oven. It was awesome. The thing that immediately strikes me about this and the other Bayonne slices is their economy. These places have really mastered the art of using just the right amount of ingredients. Sparing amounts of cheese and dough means you have room to eat more slices! 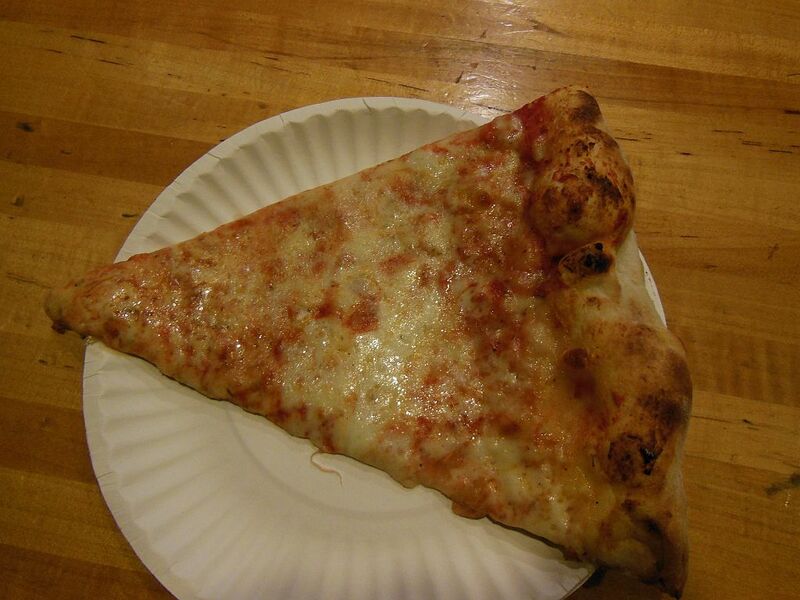 Pompei’s slice was exceptional in that it also cracked and crunched when I folded and chomped down on it. It also had a nice touch of oil from its oven-freshness. The flavor is not boosted much by spices but it was certainly tasty enough to be eaten naked. At this point the Snob is agreeing with the voting readers but wondering what the results would have been had San Vito chosen to participate. We know that all good things must come to an end, and despite burning some calories by walking, four slices was my limit for this outing. 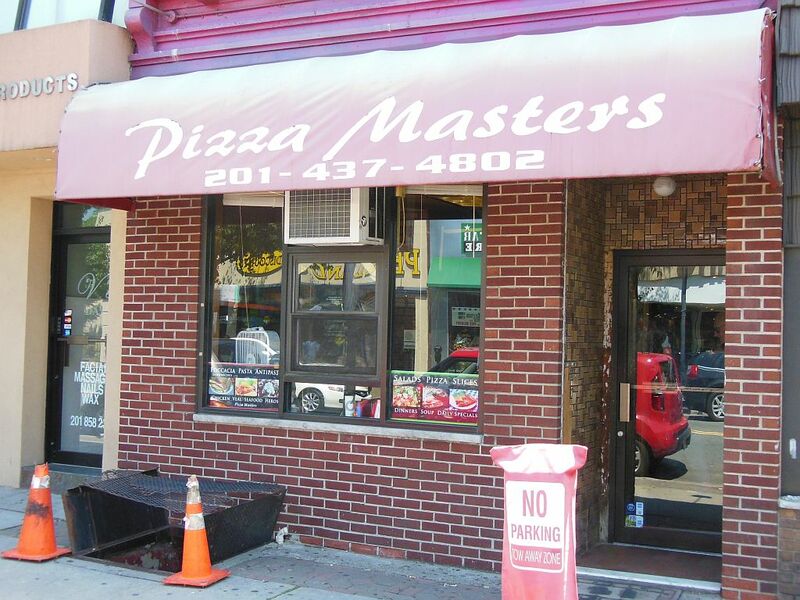 The Snob’s last stop would be Pizza Masters, a place I had never been to before since it came into being long after I left Bayonne. It had a good reputation, and I was excited about giving it a try. Like the other Broadway joints, this is a place where you order your slice at the counter along with other Italian dishes and sit down in back to eat them. The counter display proved that Pizza Masters focuses on its specialty pizzas. It also breaks local tradition by not having an Italian-sounding name. Pizza Masters would be a big hit in any other city however, here in Bayonne, this slice comes across as my Dad likes to say “not too bad.” While they do a good job of getting things right with a downright tasty and delightful slice, it was a bit too heavy on both cheese and dough and not as crispy as the others. Like the others, it is pretty light on the spices, which is perhaps why the shakers are all prominently displayed on every table. Bayonne is a tough place to open a pizza joint. And although Pizza Masters makes a great slice, there are better places that will be more likely to get my business in the future. P.S. to my fellow Bayonnites – please don’t be shy, tell me where else I may need to visit on my future visits back home! You’re right the Pizza Master’s plain is not the best, but their “Grandma Sita” slice is Godlike. 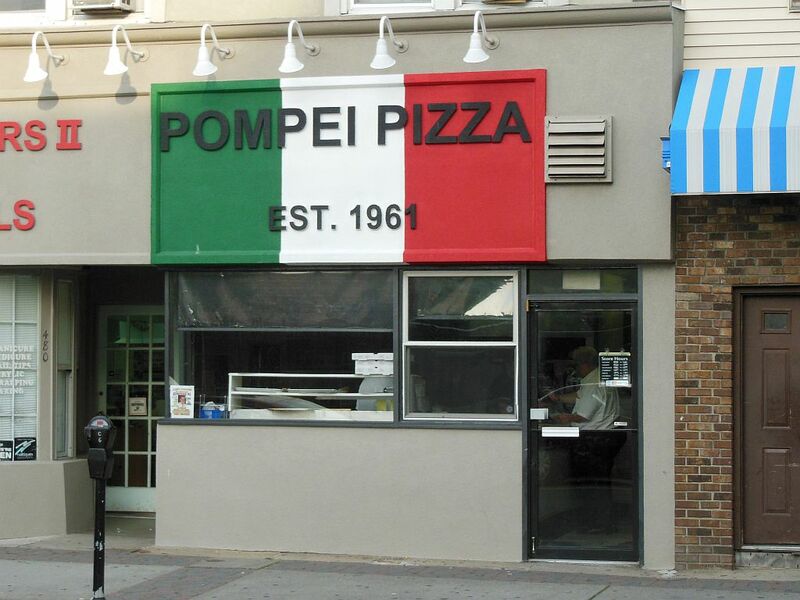 I usually get one of those, knots, and then walk to Pompeii for plain slices. 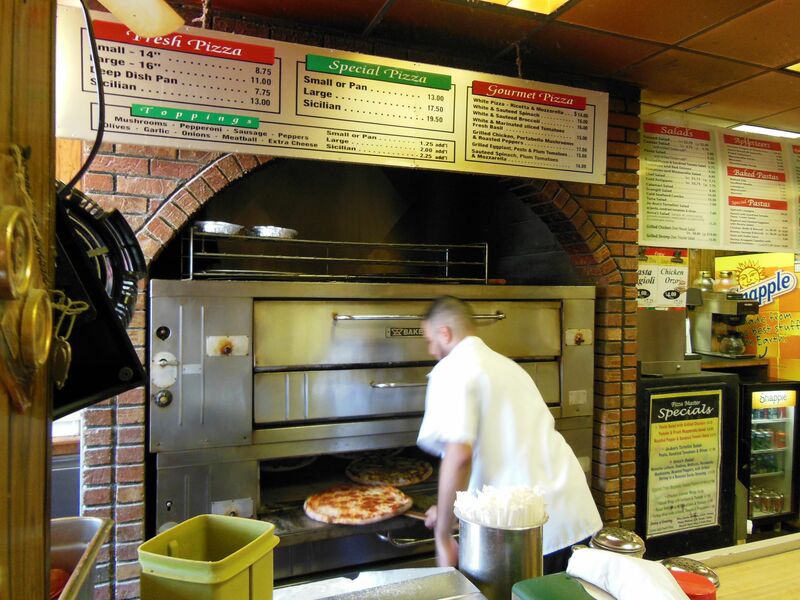 Was just in Bayonne and did a Lower Broadway Pizza Walk–watch for it soon. Thanks for your comment.